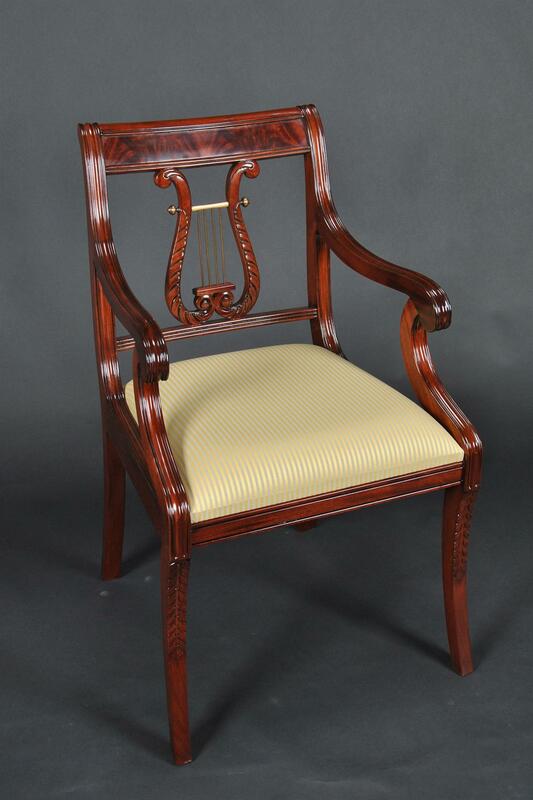 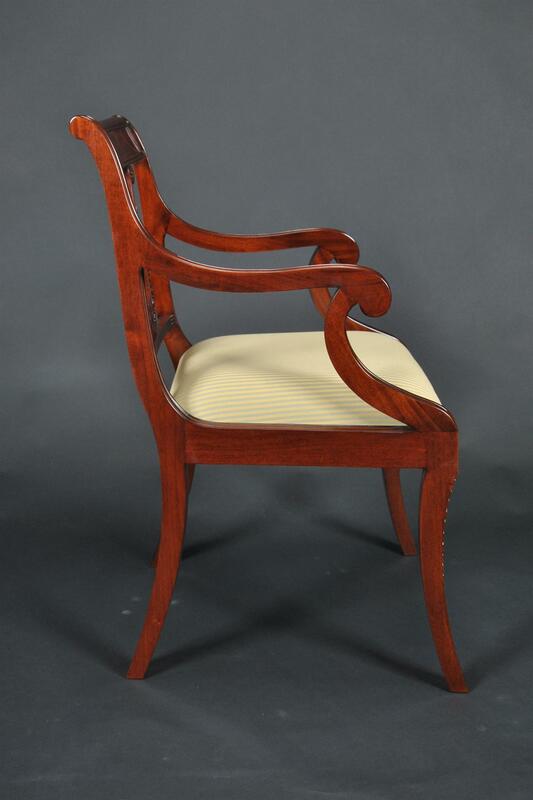 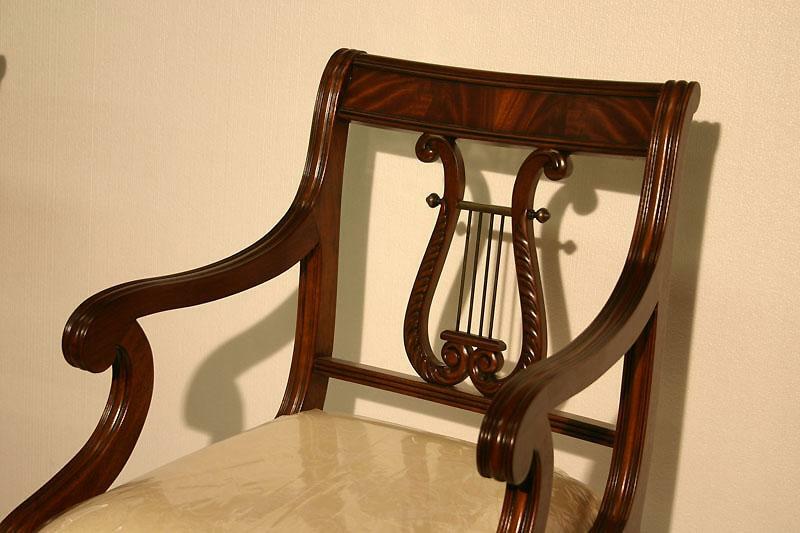 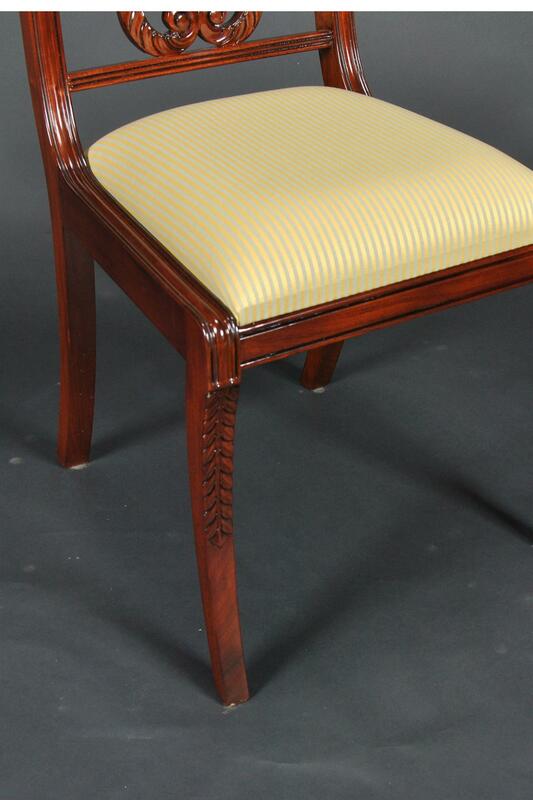 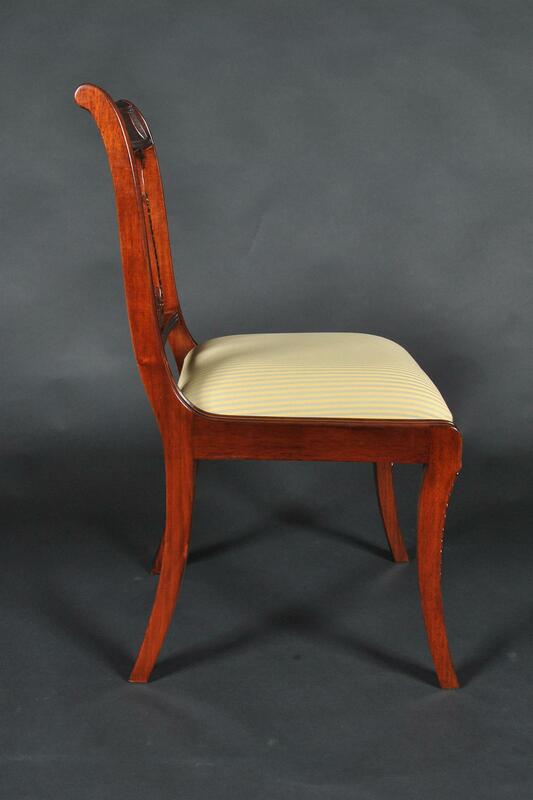 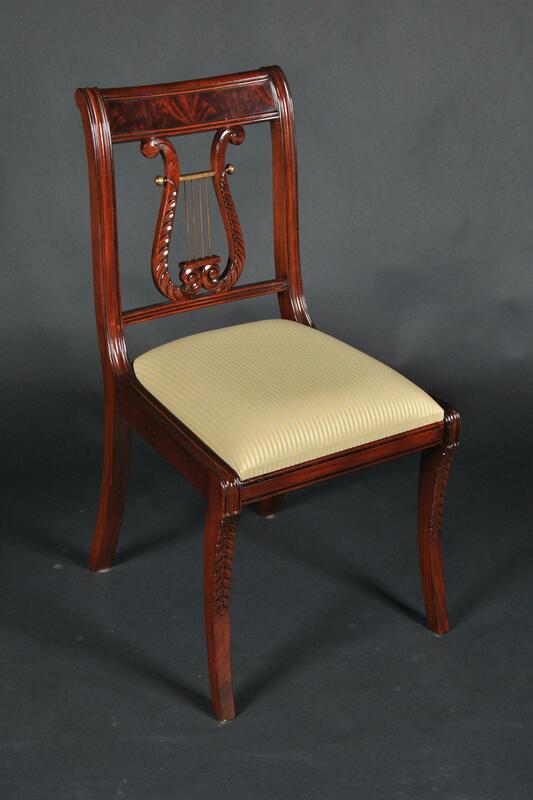 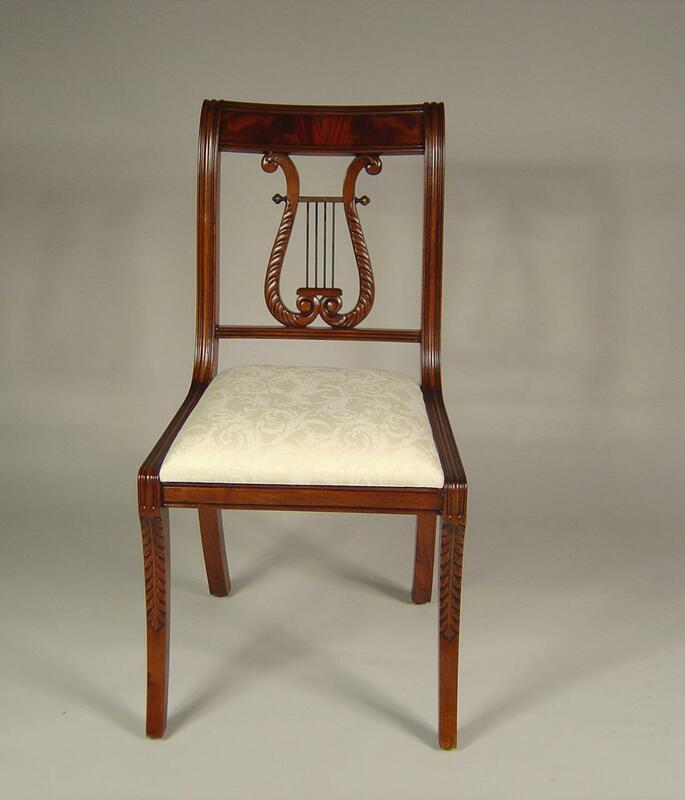 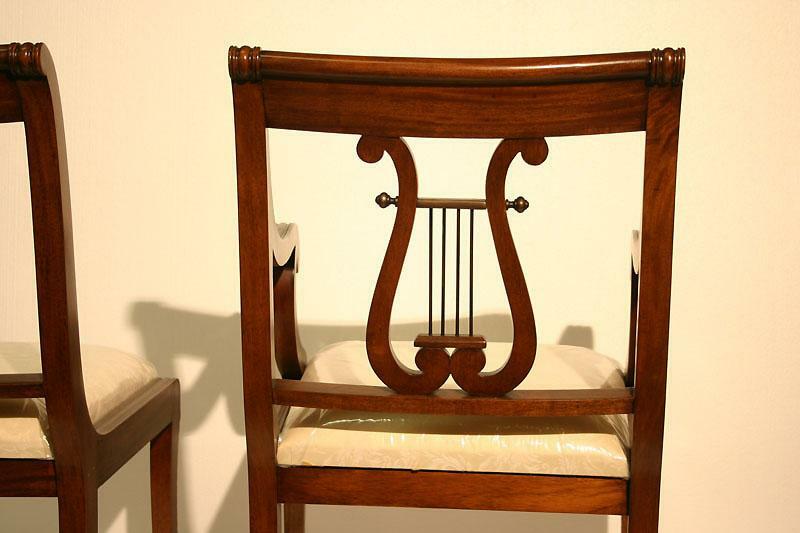 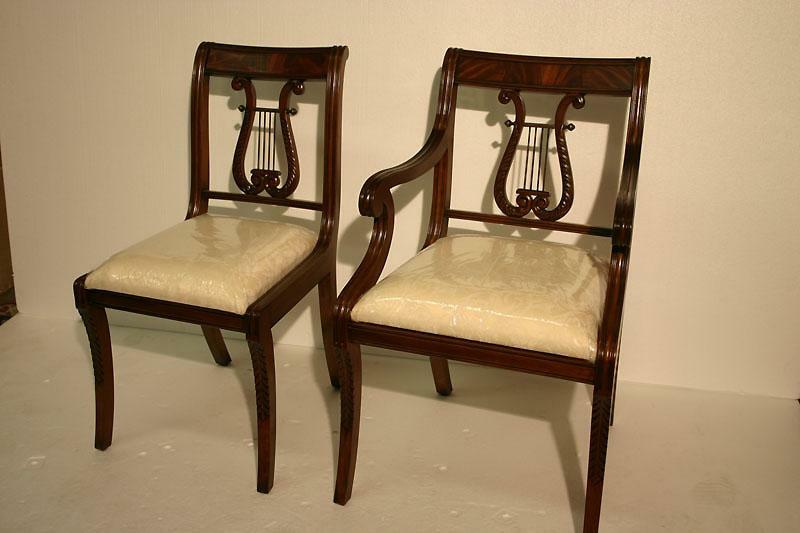 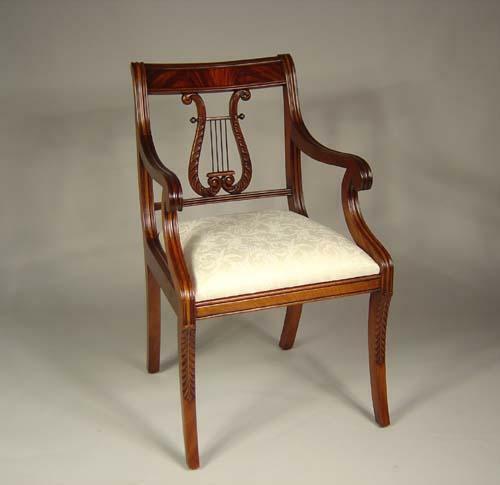 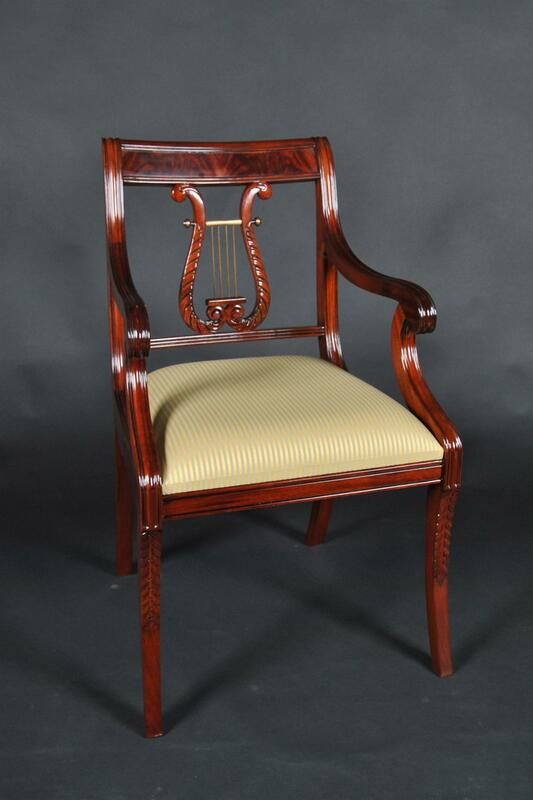 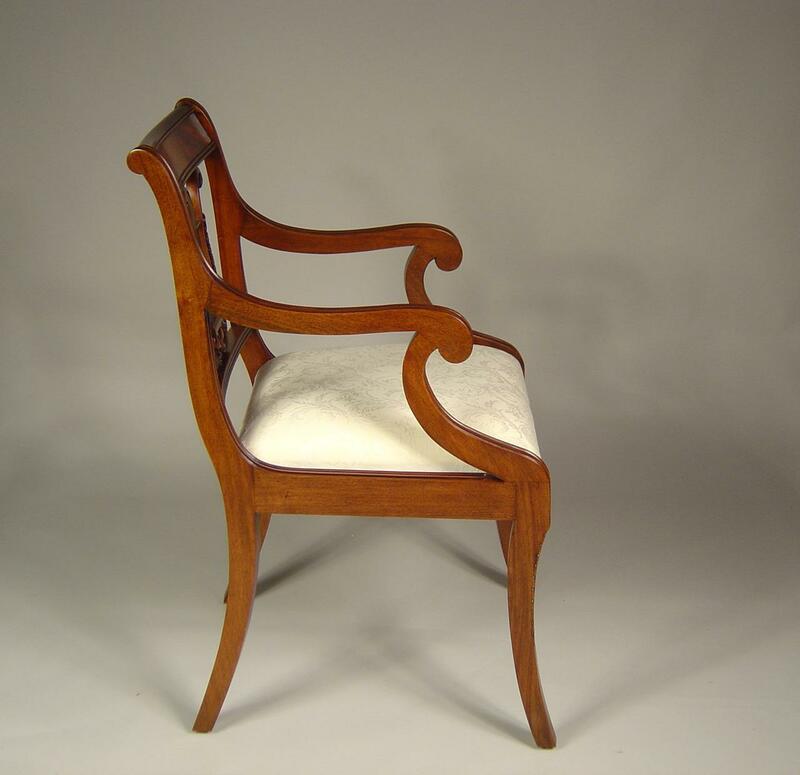 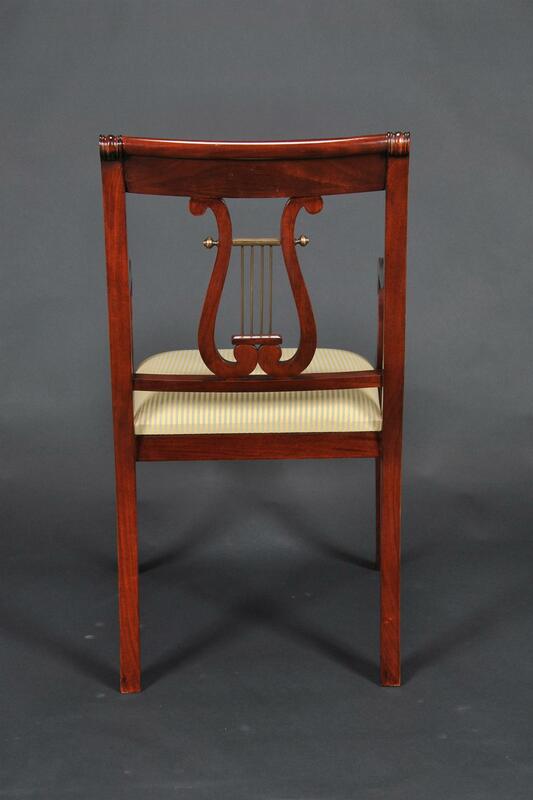 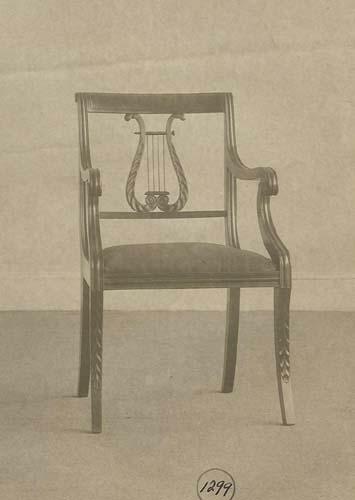 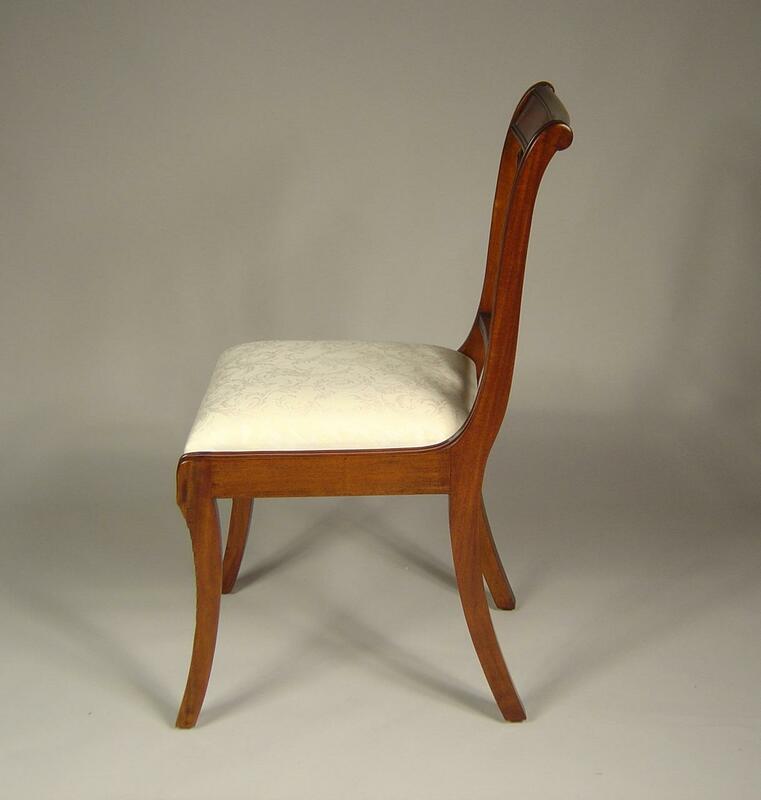 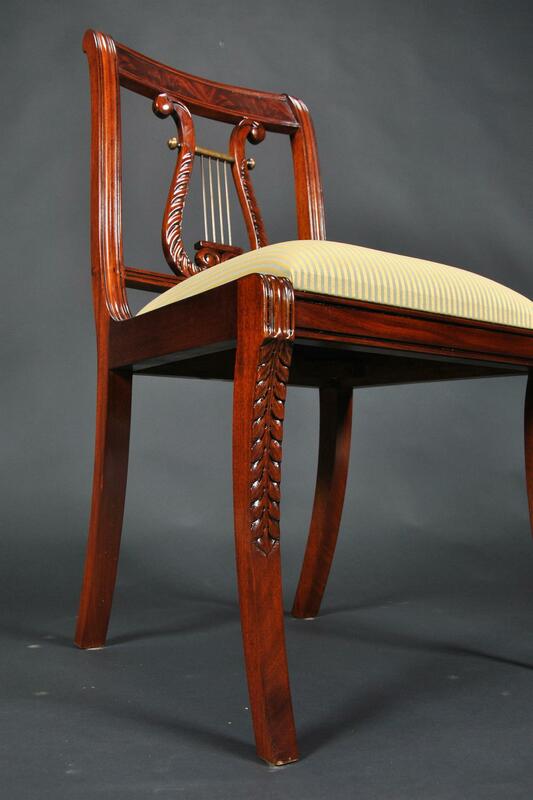 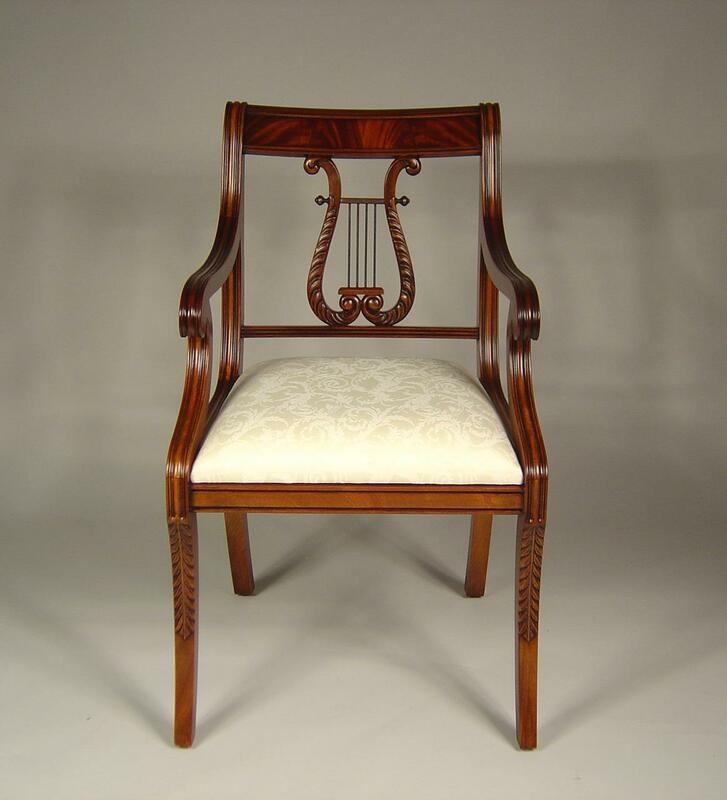 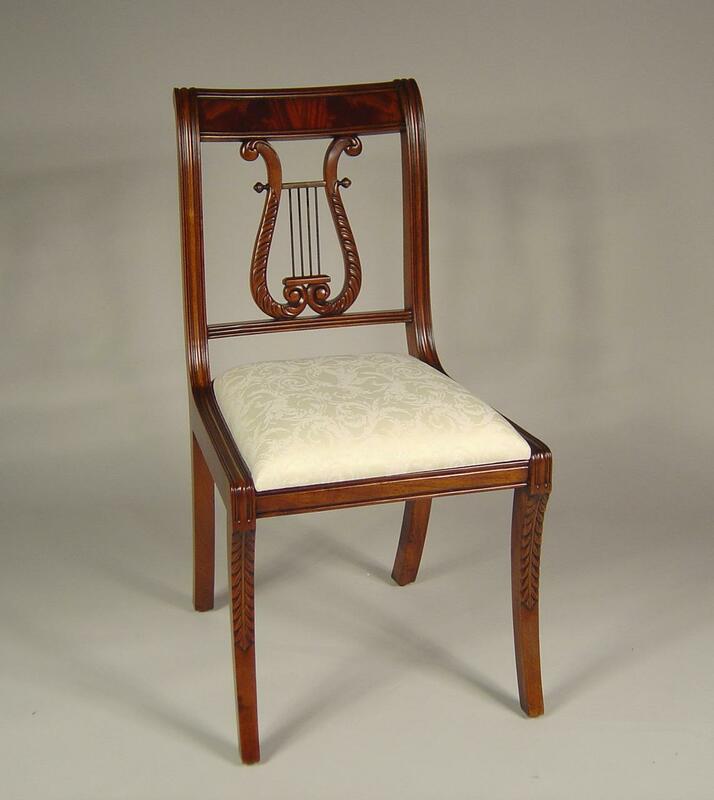 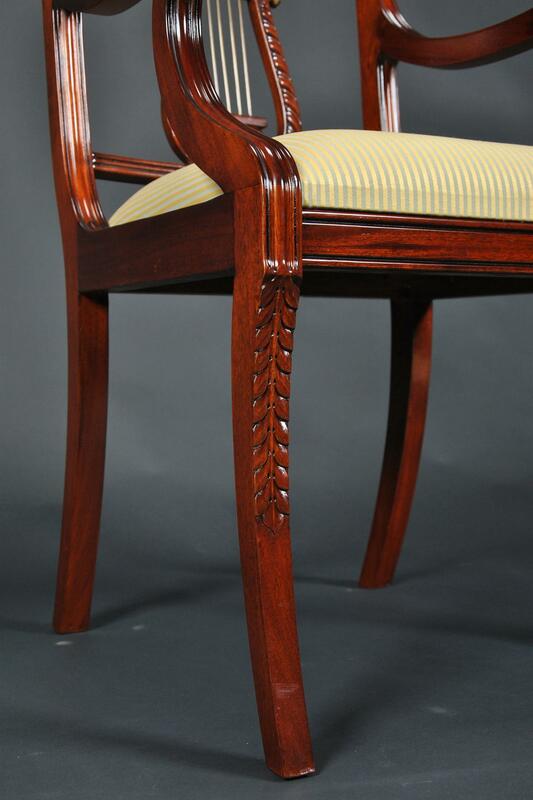 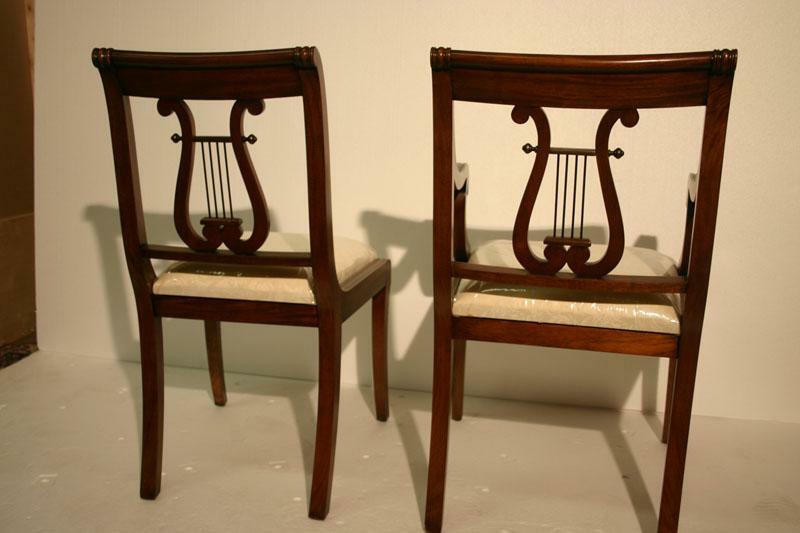 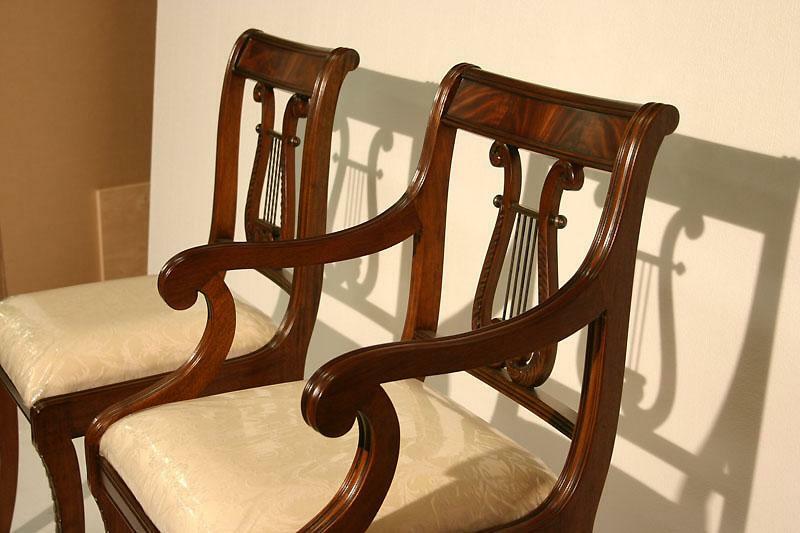 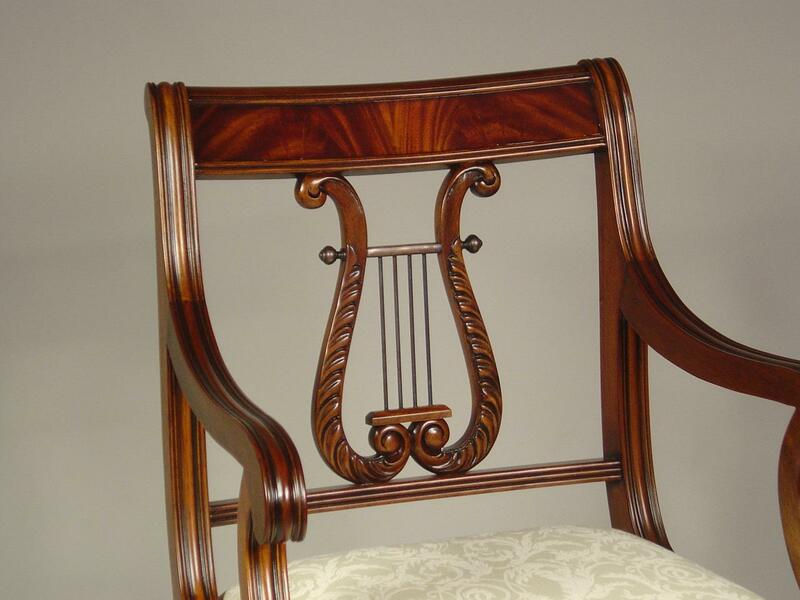 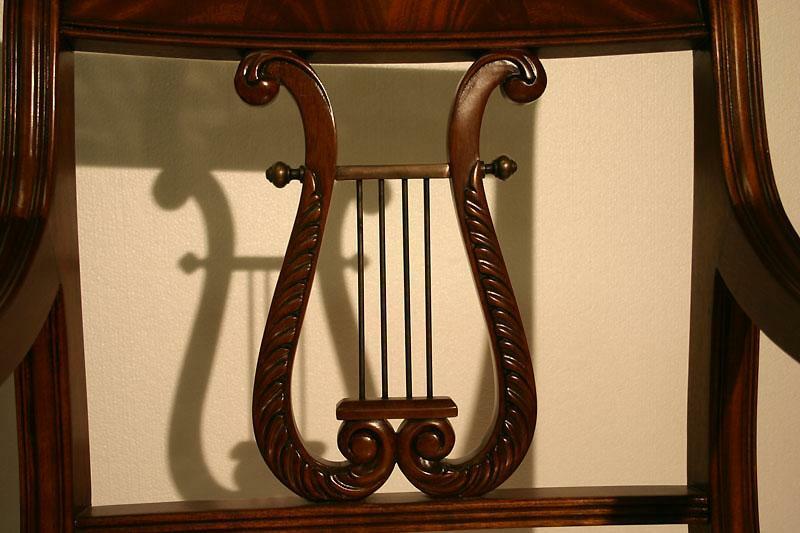 Description: Duncan Phyfe Lyre Back Dining Room Chairs. 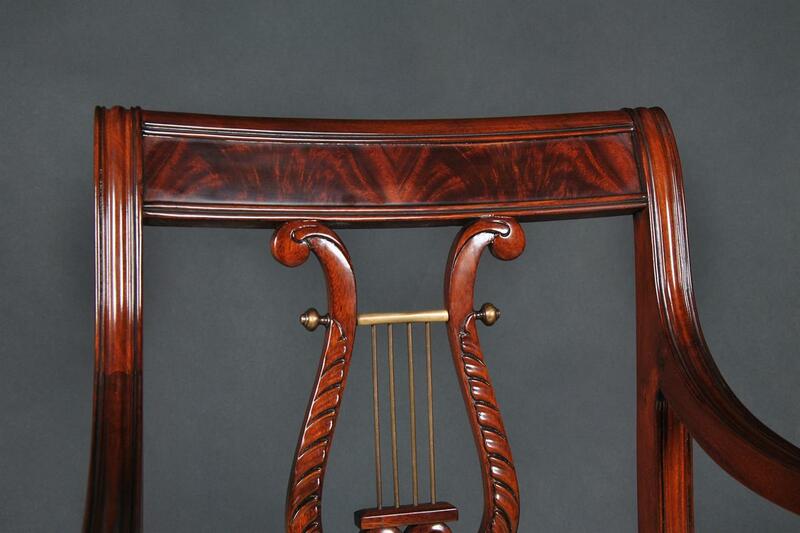 Solid Mahogany and super tight frames. 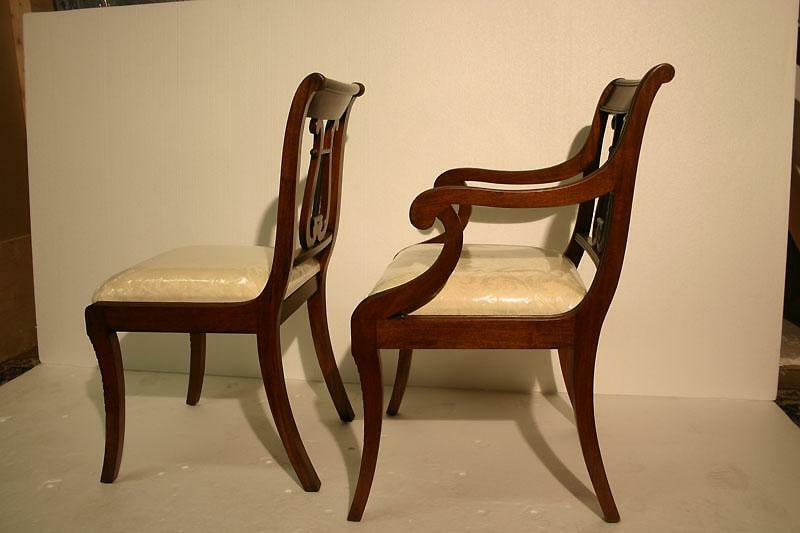 These chairs are an exact copy of a Schmeig & Kotzian chair from 1950's, see black and white photo for an image of the original S and K item. 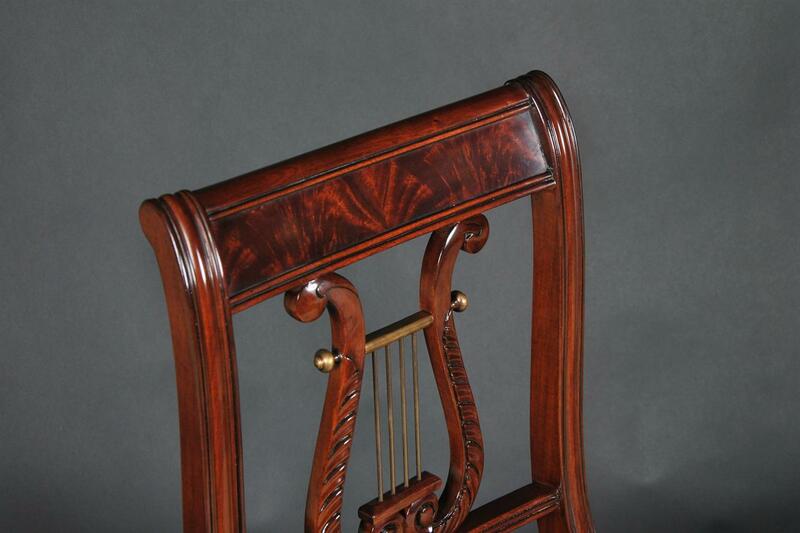 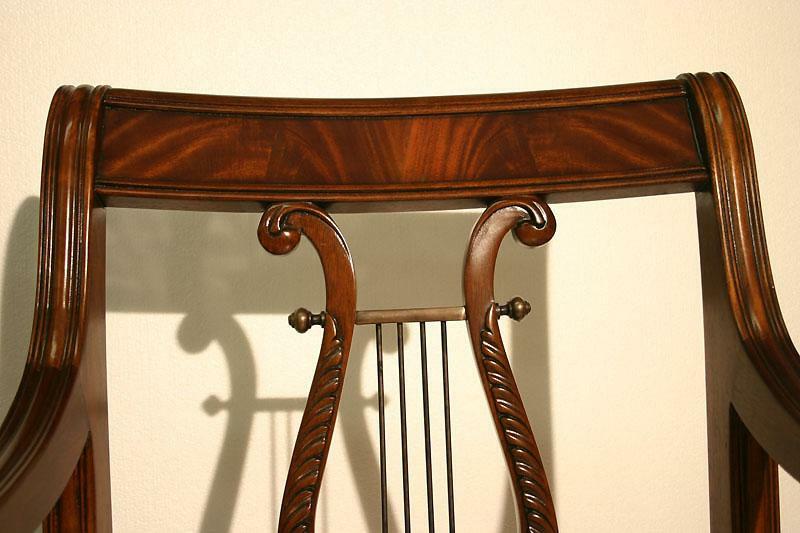 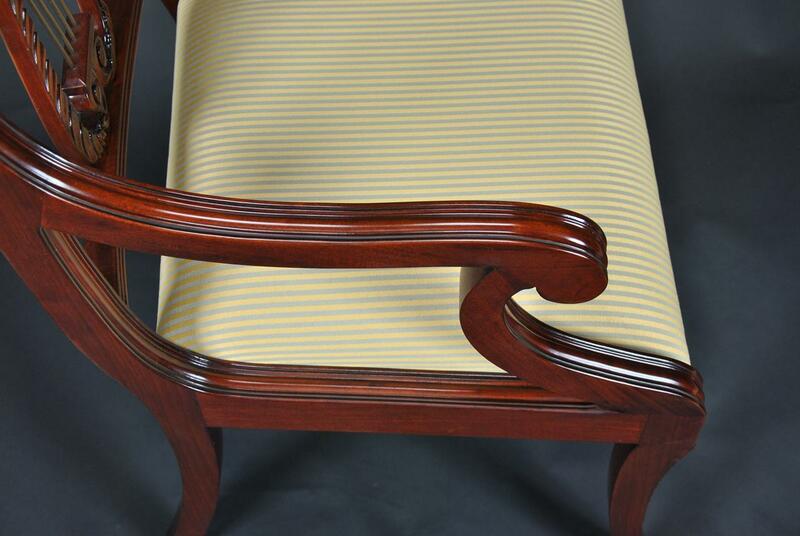 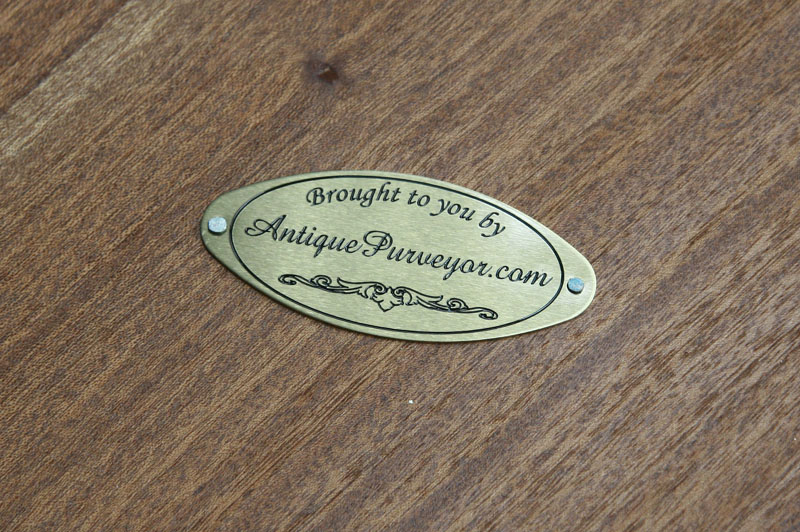 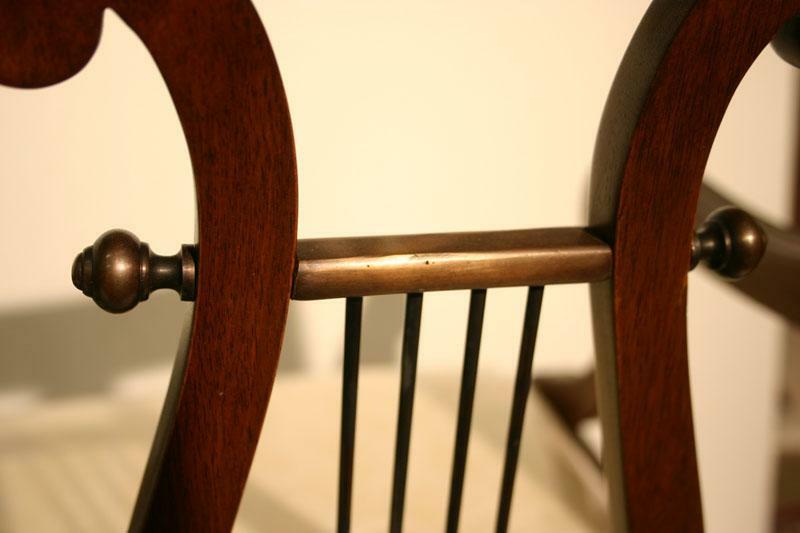 They have brass spindles, acanthus leaf carved legs and flame mahogany splats. 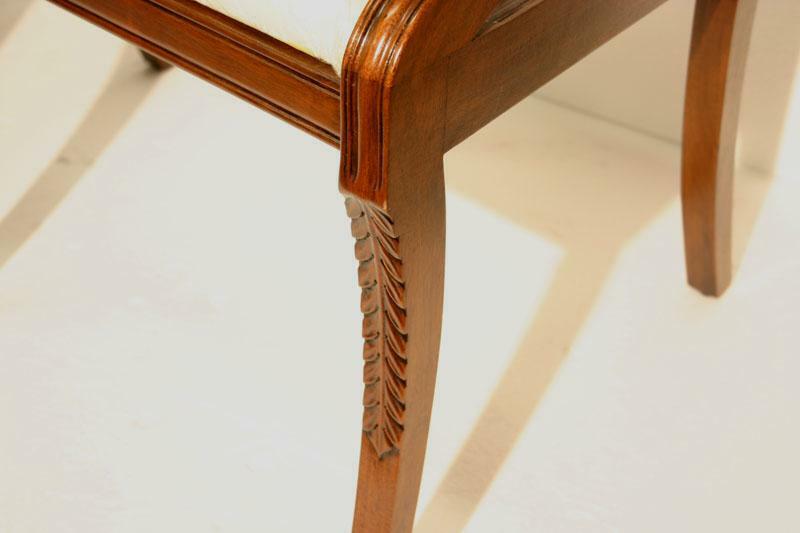 Super chair for vintage tables.